One of the most popular variants of Texas Hold ’em, Caribbean Hold ’em was first introduced to the gambling scene in 1980, when the game officially became a part of the Aruban King International Casino’s offer. It was not long before Caribbean Hold ’em made its debut across the international land based casinos, eventually making its way to the online gambling realms. Bovada is among online casinos with the best selection of poker variants, including Caribbean Hold ’em, available in real money and practice play mode. 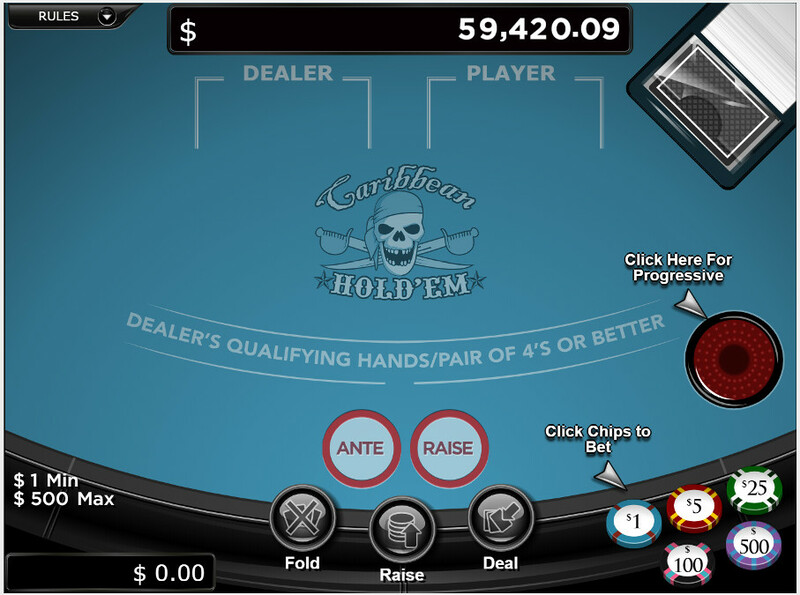 Caribbean Hold ‘Em as seen and laid out at Bovada. Anywhere else will look pretty much the same. The progressive jackpot is one of the most appealing elements of the Caribbean poker hybrids, along with simple game play and dynamic sessions. The first betting round starts with the ante bet, placed by manually selecting one of the chips located in the right corner, at the bottom of the game screen. To confirm the bet and initiate the session, the player must click on the deal button, at which point the virtual dealer draws two cards for the house (facing down) and two cards for the player (facing up). Three more cards facing up are drawn as community cards. This will initiate the next stage of the game when the players must decide if they will fold the hand or raise the bet. The decision will be made according to the combination of your hand with the community cards – aka the flop. 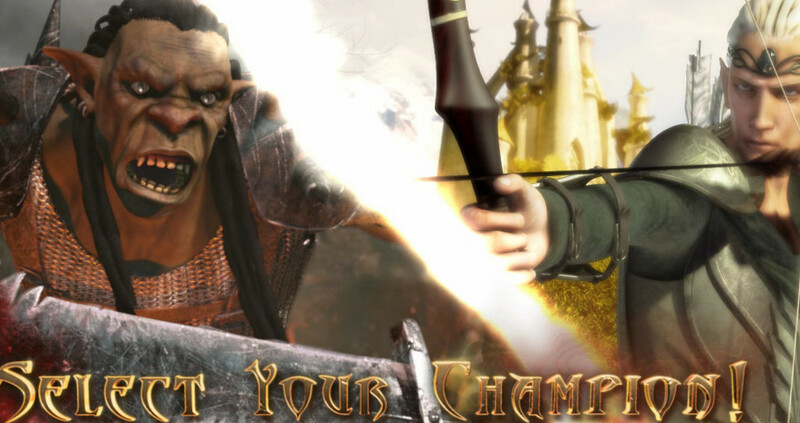 Should you decide to fold, the ante bet will be lost – the raise option will add a new bet in the amount that’s twice as high as the ante, and two more cards – the river and the turn – will be added to the community pile. In order to qualify, the dealer must have at least a pair of 4s or a higher-ranking hand – if the dealer fails to qualify, ante bet wins and the call bet is recovered. The bet that will place you in the run for the progressive jackpot is optional and can be disregarded. Should you decide to try your luck, the qualifying amount for the progressive pot is $1. Not a lot of veteran players will advise you to fold unless you are completely certain that your hand will fail to outrank or push the dealer’s, provided, of course, that he qualifies in the first place. According to certain analysis, folding is a good idea less than 20% of the time. Even if you have only a high card to count on, it is better to take your odds than to forfeit the ante. Playing the progressive jackpot bet is a controversial issue and there have been some disagreements about whether or not a player should place this wager. The payout table for the progressive pot may seem appealing, but due to the hit frequency of the qualifying hands, the risk levels are higher. The best course of action would be to play the bet from time to time, and for as long as your budget can take it.